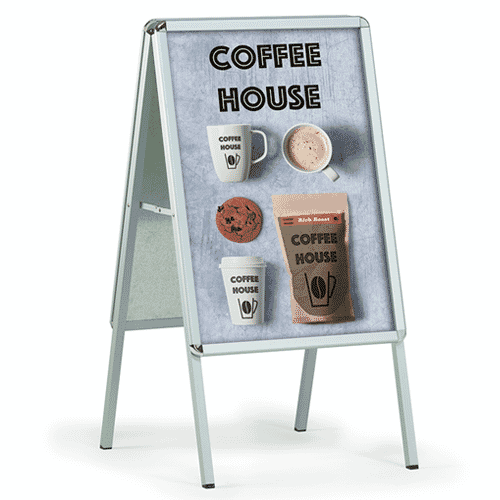 So you have purchased your sign and started to think about what you want it to say. The key to the success of any sign is making sure that your message doesn’t get lost in translation. When crafting the content of your sign you need to take into consideration the wording, the font and the font size. The last thing you want is a potential customer walking past because you have used a freestyle script font that is unreadable from a distance. Equally as important is the font size, if your text is too small people will dismiss your sign immediately and their eyes will hone in on a more visually stimulating sign across the street (Even worse if this is a competitor). With any sign the wording used is critical, try and keep it short and concise to gain maximum impact. The message you are putting out there is also a key element when it comes to great signage. 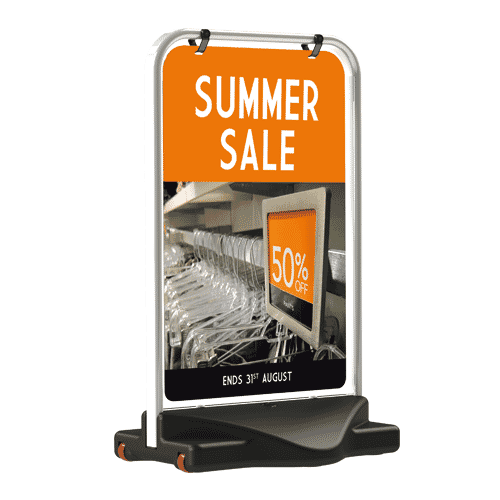 Use wording that is going to entice customers to look over at your sign. 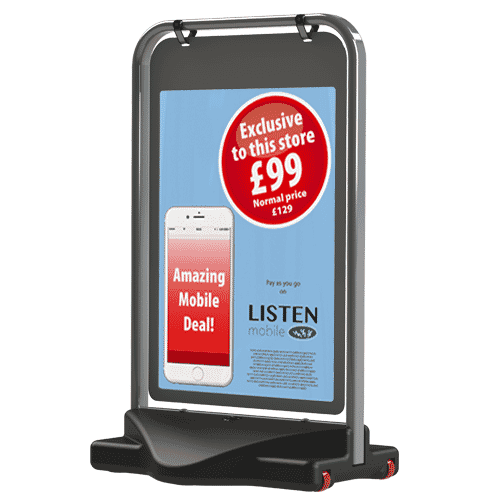 Signage is a great way to promote offers so making sure words like FREE or SALE stand out as much as possible. Another way of making sure your sign stands out from the clutter of high street signage is to be clever. People appreciate clever, well thought out and amusing signage and it can attract great amounts of attention. Not only has your sign been noticed on the street but watch out that sign could go viral! 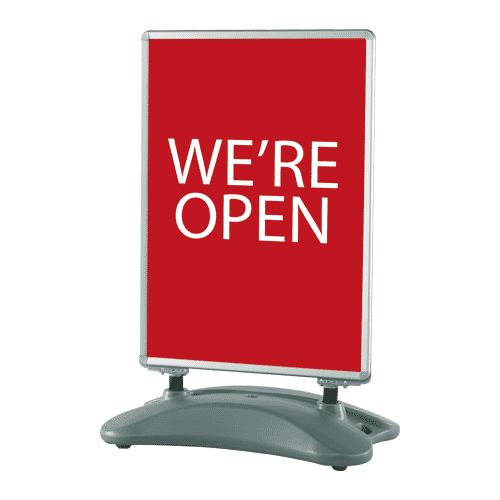 A photo of your sign can be shared, retweeted and liked across social media which means your little high street sign could become a trending subject. Make sure your sign is spellchecked before it is paraded infront of the public eye! Imagine the shock horror of having someone tell you that there is a spelling mistake on your beautiful new sign. This would be a catastrophic error which would reflect badly on you and your business and would be extremely embarrassing. Why would a person place trust in a business to sell them a product or service when they are incapable of getting their advertising correct. For any sign it is paramount that whatever the message is that it is “legal, decent, honest and truthful” (Committee of Advertising Practice Ltd). Yes you want to attract customers and beat the competition but don’t start advertising false claims to gain competitive edge! You will get found out!!! Another area to be aware of is avoiding causing upset through offensive and rude signs. Something a particular audience may find amusing it could cause offence elsewhere which is something you want to avoid. A good idea is to test your sign’s message and exposure; ask friends and family to walk/drive past the sign and see if they can recite the message and give their opinions. Their feedback will help you to decide if the sign needs changing or if it doesn’t create the impact you are after.